I've always been a bit rubbish with breakfasts during the week, usually I just grab a yogurt and eat it at work, but as I was starring at the apricots in my fruit bowl I had a light bulb moment. 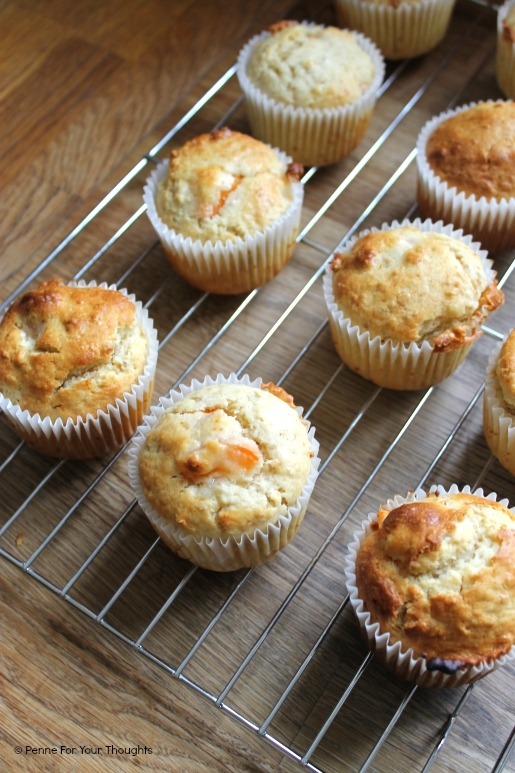 Breakfast muffins! Okay, I know they aren't the healthiest option but for a weekend breakfast treat, or for a quick snack to grab on the go these are perfect. Containing fresh apricots, honey and oats these are naturally sweet so less sugar is needed in the mixture, and the oats mean that they actually fill you up! 2. In a large bowl, rub the butter, flour and baking powder together with your fingertips until the mixture resembles fine breadcrumbs. 4. In a measuring jug, beat together with a fork the milk and eggs and then add this to the dry ingredients and mix quickly with a wooden spoon. 5. 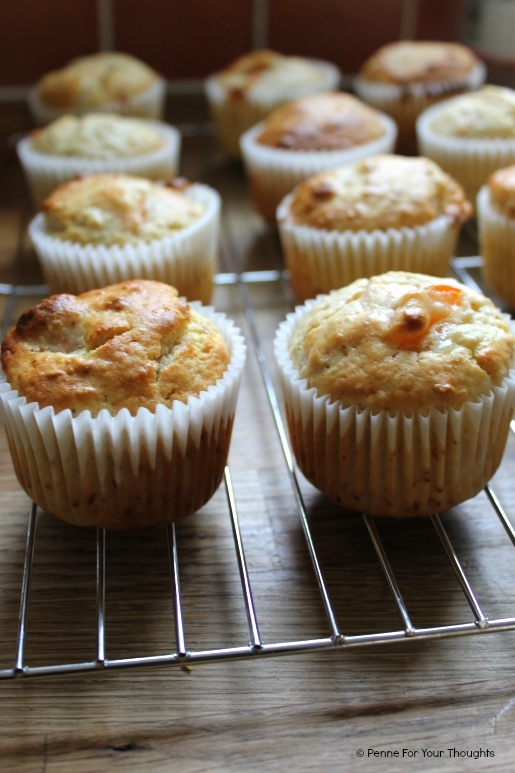 Add the honey and give a final stir then spoon the mix into the muffin cases, filling them almost to the top. 6. Bake in the oven for 25 minutes. Leave to cool for a few minutes in the tray and then transfer the muffins out of the tray and onto a wire rack to cool completely. I love fresh apricots, going to be sad when we can no longer get hold of them! Muffins look lovely. I adore apricots! I love that these use fresh fruit rather than dried, you can really tell the difference! Sounds like a lovely flavour combination and they look really nice! These look so good! I totally feel your weekday breakfast pain, I'm awful for it, but like, who wants to get up earlier to prepare food? I definitely might have to give these a go soon.